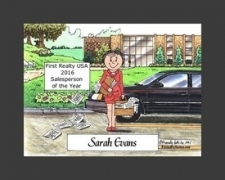 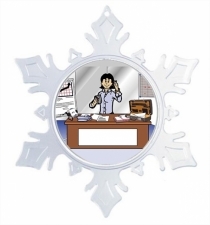 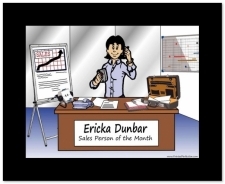 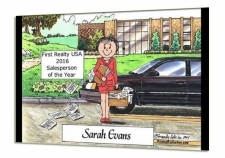 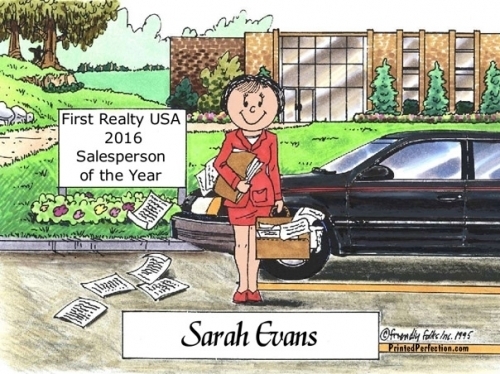 Whether she's a busy sales person, small business owner or leasing agent, this Friendly Folks caricature captures the essence of her hectic schedule! 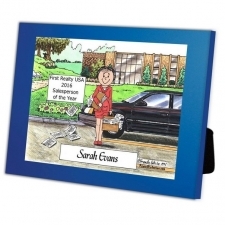 Depicting a professionally dressed, obviously busy business woman on the go. 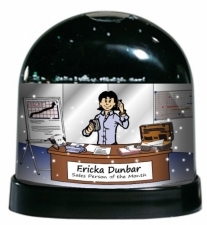 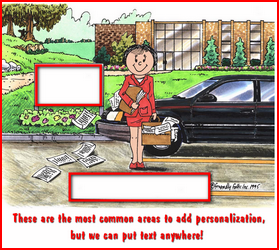 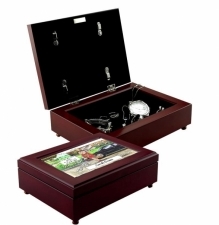 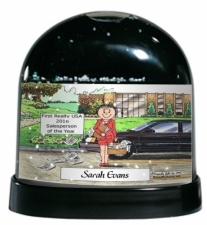 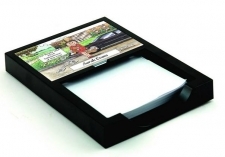 Personalize it with her name and business information or any other text. She's standing in front of a building that could be a business, doctor's office, school or any other structure. 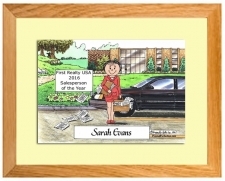 Makess a great appreciation and thank you gift!